I’m sometimes asked what the best practice is surrounding the Default Domain Policy and Default Domain Controllers Policy. Microsoft has some good guidance on this topic, but it’s not always clearly and consistently stated. Here’s a quick Q&A that might help. Q. Is it ok to make changes to the DDP and DDCP GPOs, or should I leave them alone and create new policies? So, that’s it! If you want to apply other settings at the domain root level or to the Domain Controllers OU then you should create new GPOs and link them to the appropriate scope of management. The ordering of the GPOs shouldn’t really matter as you should have no overlapping settings. As a general rule of thumb, however, I would recommend assigning any new GPOs a higher precedence in case someone starts using the default GPOs for settings that are not on the “approved” list above. That way the new GPOs will win in any conflict. If you are in a disaster recovery scenario and you do not have any backed up versions of the Default Domain Policy or the Default Domain Controller Policy, you may consider using the Dcgpofix tool. 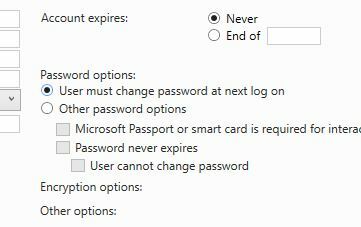 If you use the Dcgpofix tool, Microsoft recommends that as soon as you run it, you review the security settings in these GPOs and manually adjust the security settings to suit your requirements. A fix is not scheduled to be released because Microsoft recommends you use GPMC to back up and restore all GPOs in your environment. The Dcgpofix tool is a disaster-recovery tool that will restore your environment to a functional state only. It is best not to use it as a replacement for a backup strategy using GPMC. It is best to use the Dcgpofix tool only when a GPO back up for the Default Domain Policy and Default Domain Controller Policy does not exist. Q. We have disabled our DDP and DDCP GPOs and replaced them with new GPOs. Is that OK? A. No, that’s not ok. The GPOs have a fixed GUID and can be targeted directly using these by the “legacy APIs” mentioned above. One well known application that directly modifies the Default Domain Controllers Policy is Microsoft Exchange. The installer adds the Exchange Servers group to the “Manage Auditing and Security Log” User Right (also referred to as SACL right). So, if you disable or unlink the GPO this right (and potentially others like it) it will go missing and will cause problems for Exchange. Q. Is it OK to rename the DDP and DDCP GPOs? A. If you feel you must do this I don’t believe it will have any impact, other than it might confuse people when they look for them. I’ve seen some customers rename the GPOs to align them with their in-house naming convention. As mentioned above, these GPOs are targeted using their well-known GUIDs, which is why the rename shouldn’t cause an issue. You can find the renamed GPOs quite easily using the Group Policy cmdlets, e.g. Use the default GPOs for the approved specific purposes only. If you have other settings you need for the same scope of management, create new GPOs and link them with higher precedence than the default GPOs. Under no circumstances should you disable or unlink the GPOs. If you rename the default GPOs there should be no impact, but your mileage may vary. Posted by admin on August 28, 2015 at 1:56 pm under Active Directory, Group Policy. The default location for newly provisioned user and computer objects are (respectively) the Users and Computers containers. Since Windows Server 2003 Active Directory the option has been available to redirect these to OUs that you specificy. Why would you want to do this? Well, the Users and Computers containers are just that – container objects and not OUs. You can apply Group Policy to OUs but not to containers. As an example, you might have important security settings such as AppLocker application whitelisting that you apply to your computers via GPOs. If you have computer objects in the default Computers container they will not be picking up those policies. I recommend to all my customers that they redirect the Users and Computers containers to OUs that are locked down with highly restrictive Group Policies. This measure effectively forces the admins to move those objects to where they should be located in the OU structure. The most well-known method of performing the redirection is to use the redirusr and redircmp utilities that are built-into the operating system. The process is described on Technet (https://technet.microsoft.com/en-us/library/cc772758(v=ws.10).aspx). Of course we now have PowerShell as an alternative option. I thought it would be fun to see how easy it would be to perform the redirection using a script. Here’s what I came up with (seems to do the job). Posted by admin on February 20, 2015 at 10:47 am under Active Directory, PowerShell. Another quick one to finish the year off. Here’s a script that runs an LDAP query against all of the DCs in the forest and reports back the time it has taken for each. The intention is to identify any DCs that are responding slowly for some reason. In the example below, I’ve chosen to run my query against the schema partition as this will be consistent across all DCs in the forest, regardless of domain. If you have a single domain forest, you might want to change this for a really inefficient query against something in the domain partition. The script uses WinRM to query each DC directly. I did it that way to remove network latency as an influence on the response timings. If you don’t have all Windows Server 2012 (or later) DCs then you will need to explicitly enable WinRM to allow the script to talk to the DCs. write-host "Search took $mc seconds on $DC in AD Site $((get-addomaincontroller $dc -server $dc).site)"
Posted by admin on December 24, 2014 at 11:03 am under Active Directory, PowerShell.